No matter how much you need your tax refund, be wary of pricey tax-time loans. A new breed of pricey tax refund loans is cropping up this tax season. 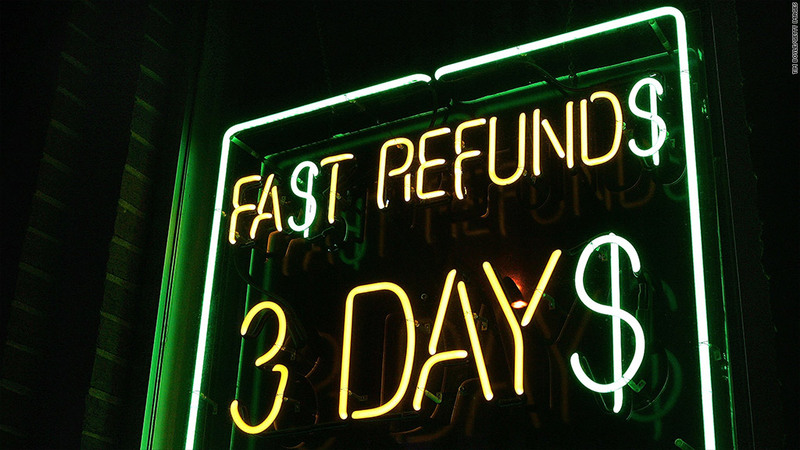 Refund anticipation loans, which cover a consumer's expected tax refund until it arrives, used to be offered by banks until regulators cracked down on them. Now tax preparers and non-bank lenders like payday loan and cash advance businesses are getting in on the act, offering similarly expensive products, according to a report from the National Consumer Law Center and Consumer Federation of America. "While we are glad to see the disappearance of bank RALs [refund anticipation loans], consumers should avoid the other traps still out there," said Chi Chi Wu, staff attorney at NCLC. Among the products NCLC recommends watching out for: Liberty Tax Service is offering tax-time loans to customers in 26 states with loans in at least one state reportedly carrying a $49.90 fee, plus an undisclosed amount of interest. An interest rate of 36%, which is typical for this kind of loan, would leave a borrower owing about $80 for a 15-day loan of $2,000. Liberty Tax Service did not return a request for comment on its product and pricing. Jackson Hewitt is offering tax-time credit lines ranging from $200 to $1,000, which come with a 35% interest rate, a $6.25 monthly fee and a fee of 3% or $10 every time the credit line is accessed, according to its website. A customer who takes out a $500 credit line for one month could therefore end up paying more than $30 in fees and interest. Jackson Hewitt did not respond to a request for comment. Other companies pay customers a portion of their expected refund immediately and then take the full amount for themselves when it arrives. They often advertise this as "buying" a taxpayer's refund, but the NCLC said it is essentially a RAL since customers are still handing over some of their expected refund to get the money earlier. AIT Financial Group, for example, launched a product this year that pays $600 to someone expecting a refund of $700 to $725 and will pay $1,250 for a $1,500 to $1,600 refund. AIT spokesman Nathan Adams said there is a lot of demand for these products -- which typically get the money to customers within 48 hours -- and that they plan to get rid of their pricing structure in the future and instead let customers negotiate their own desired prices. The NCLC also found that some shady tax preparers are even offering tax refund loans to lure taxpayers into their offices, but have no intention of lending them the money. Instead, they try to convince them to sign up -- and pay -- for tax preparation services. While short-term loans may seem like the only option for consumers in a financial bind, most people receive refunds from the IRS in less than three weeks if they file electronically and have the money deposited directly into their account. So it's usually not worth the money to slightly expedite the process, said Wu. "The problem is that people who are desperate are very vulnerable when dealing with lenders," said Wu. A common alternative to refund anticipation loans are refund anticipation checks. Refund anticipation checks typically cost between $30 and $55, and some businesses tack on additional fees that can be as much as hundreds of dollars. Typically, a lender sets up a one-time bank account where a refund can be deposited, and then a check or prepaid card is issued to a consumer so they can access the cash. This is often an attractive option for taxpayers without bank accounts, but it doesn't help consumers get their refunds any faster than if they were to open a bank account or prepaid card on their own -- which they could do for free. "If they have a bank account they can get their refunds just as fast doing direct deposit and e-filing [their taxes]. And if they don't have a bank account, now would be a good time to open a savings account and use that to get their refund," she said. Some tax preparers also offer refund anticipation checks to allow customers to postpone tax preparation fees until the refund arrives. 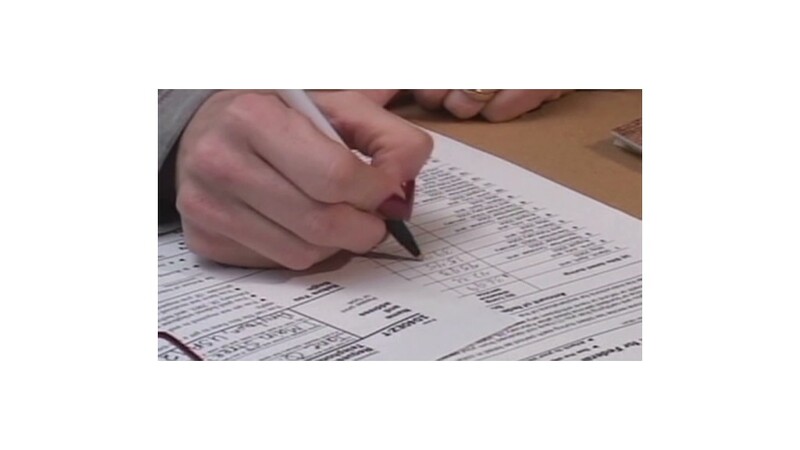 But Wu said especially for low-income customers, there are many free tax preparation options available, like the IRS's Volunteer Income Tax Assistance program.